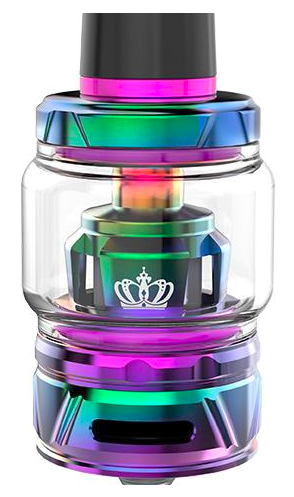 Uwell’s latest release, the Crown IV Tank Atomizer. Some of us have beein using uwell’s Crown series tanks since the beginning of their line, around 2015, or gee, maybe earlier, unsure. Their flagship tank, the Crown (1), was the all-stainless sub-ohm tank that really set a precedent. Now in the beginning of 2019, we have the Crown IV, also known as The Checkmate. The base measures 25mm, the bubble glass, if attached, stretches out to 28mm. The tank comes with a straight in-line glass which holds 5ml, and a bubble smok-style glass which holds 6ml. The tank is stainless steel, glass, with silicone o-rings. Sadly, it seems they aren’t using quartz glass anymore, unsure, but it seems not. The tank also comes with an installed 0.4 ohm single-wire coil and a 0.2 ohm spare coil. Mesh coils are made as well for this tank. Hopefully, we’ll see some more innovation with the coils. Ah yes, the coils. Let’s talk about those for a moment. The Crown IV coils use SS904l wire, a new wire to the vaping market. Used in Rolex watches, it provides more anti-corrosive properties, is harder, and allegedly lasts longer. Also, many reports of a c;leaner, sharper taste. I would have to agree, the taste is much better than my experience with the Crown 3, for example, which uses, as most do, SS316l wire. How do you set your mod to ss904l ? The only mod on the market as of this article with an ss904l mode is the Uwell Checkmate mod, a 200w box mod with TCR, Wattage, and SS904l settings. However, you can use your ss904l wire just fine using your mod’s TCR settings. Depending on your mod, the TCR will show has either whole digits, or decimals. For those of you with whole digit mods, the TCR value that seems to work best is TCR #85. This can be 0.00085 on some mods. OK so, they’ve used the push-in system for their coils, no threading, and just a bit of a pain to remove, gotta use your fingernail on that silver ledge. Removes easier with e-juice on it, don’t worry. However, don’t remove the coil with juice in the tank, it’ll pour out of the mouthpiece. A con, for sure. The coils are rated for 60-80w , and 50-70w. However, these coils take 95-100w just fine. Not sure about the mesh, haven’t seen or tried one yet. The Crown IV also features a new style of top-filling. Just a quarter-turn and off the lid comes, no threading. Then you have four giant fill holes, gaping wide. Much better than the Crown 3’s “kidney” holes. The tanks are all hand-polished. I got a black one to match my mod, but now kinda wish I had an iridescent one. heh. The image shows the tank a bit larger than it looks in real life, because of the angle. I HIGHLY recommend this tank, best tank I’ve had so far to date, since 2012 when I began vaping. It’s got amazing taste, great functionality, good looks .. and no leaks, even from condensation ! Avoid counterfeits, shop from reputable dealers ONLY. ENJOY your new Crown 4 ! I have also submitted this review to the e-cigarette forum as my alternate username “DJ Colonel Corn”. 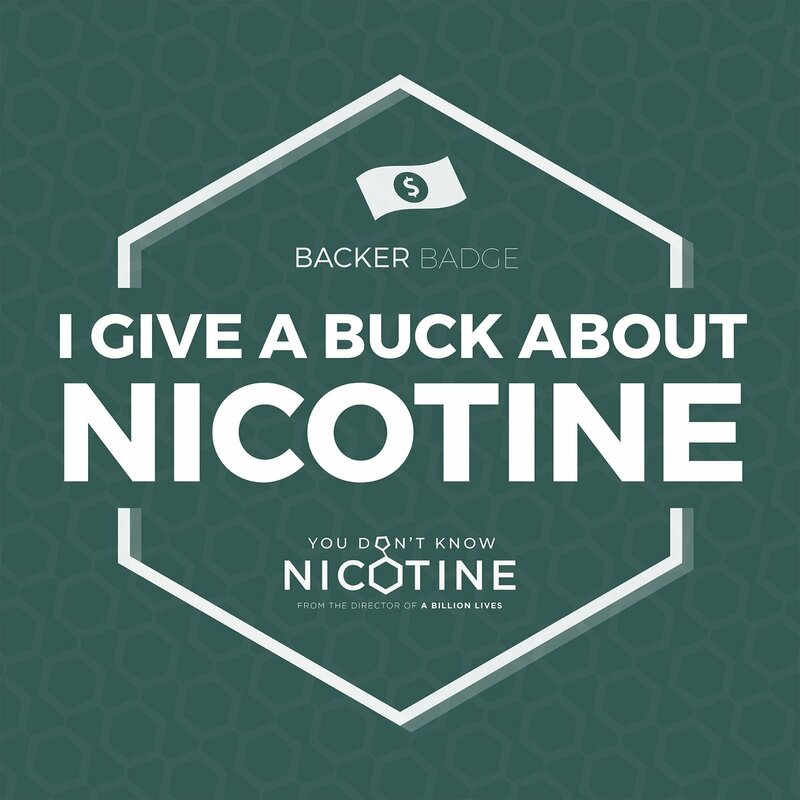 Visit the forum, it’s a great resource for vapers since 2007.